Chevron Philippines, Inc. (CPI), marketer of the Caltex brand, continues to strengthen its partnership with Handyman with the increase of participating Handyman branches nationwide that offer the full range of Havoline and Delo gasoline and diesel engine oils, coolants, greases, and transmission fluid. “We started our partnership with only nine (9) participating Handyman branches last December, and as of today, Chevron lubricants are now available in 20 branches nationwide. We’ve seen such strong reception from customers, especially for our premium range of Havoline synthetic gasoline engine and motorcycle oils,” said Joe Bronfman, CPI Area Business Manager for Lubricants, Philippines, and Vietnam. “Having Chevron Philippines as our partner is an exciting development for our company. We are looking forward to having Chevron products in 10 more Handyman stores nationwide by end of the year and more in the future.” said Stanley Co, General Manager of Handyman. 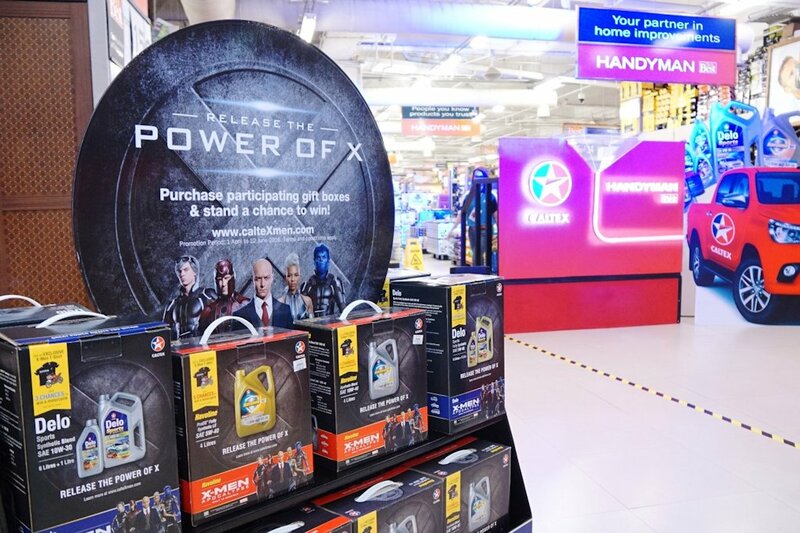 The partnership between Caltex Lubricants Philippines and Robinsons will also give their customers the opportunity to win exclusive X-Men Promo Packs. With the latest promotion, “Release the Power of X,” customers will get a free X-Men Apocalypse T-shirt with every purchase of promo packs plus a chance to win exclusive premium items or movie passes in four (4) raffle draws. At stake is a brand new Yamaha motorbike FZ16 150cc in the grand draw. Only Handyman and Caltex stations nationwide are offering this promotion. 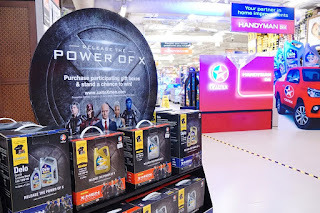 “The X-Men Promo Packs that Caltex Lubricants and Handyman offer right now give us the perfect occasion to incentivize our customers while also giving them value for their money. We’re excited and looking forward to further this partnership not just with Handyman but with the rest of the Robinsons group of companies,” ends Joe Bronfman.